Systems Scaffolding Depot offers high quality System Scaffolding including Ringlock Scaffold, Ring Lock Scaffolding, Ringlok, Tube and Clamp Scaffolding, and Cup Lock Scaffolding at our low depot pricing. If you do not see what you need here, Please don't hesitate to call. We look forward to serving you! Please note that it is imperative for all workers using these System Scaffolding parts and/or System Scaffolding accessories to be fully trained and informed in the use of these materials. All Descriptions, Pictures, Weights, etc are for general purposes only. Style and Manufacturers Vary. Pricing was accurate at the time of publishing but is subject to change at any time. Please call to verify pricing. We can not be held responsible for errors on this website. All sales are final. Absolutely no returns without our approval. We can normally ship our products the same or next day, allowing you to receive your order quickly. We cannot, however, be responsible for delays in shipping or delivery. Please order far enough in advance to allow your products to arrive on time. If you have special needs, Please ask!. We will do our best to meet your expectations. This website is wholly owned by Depot Sales LLC and is the sister website of ScaffoldingDepot.com. 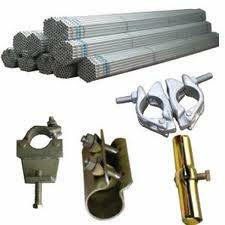 We invite you to check there for all of your frame scaffolding needs. We also carry bakers scaffolding, aluminum scaffolding and the full line of Perry Scaffolding (now made by NuWave Manufacturing), as well as a whole lot more. Systems Scaffolding Depot is not certified to erect scaffolding, design false works structures or construct scaffolding . Systems Scaffolding Depot is not responsible for improper use of its scaffolding products, and end-users should consult an engineer as to the proper specifications for structures. 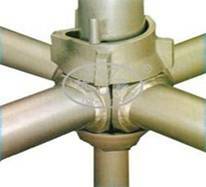 In some situations, Systems Scaffolding Depot is only a reseller and is limited in its liability. SAFETY IS UP TO YOU!